This is a site I found years ago that I just re-googled today because its existence popped into my brain. 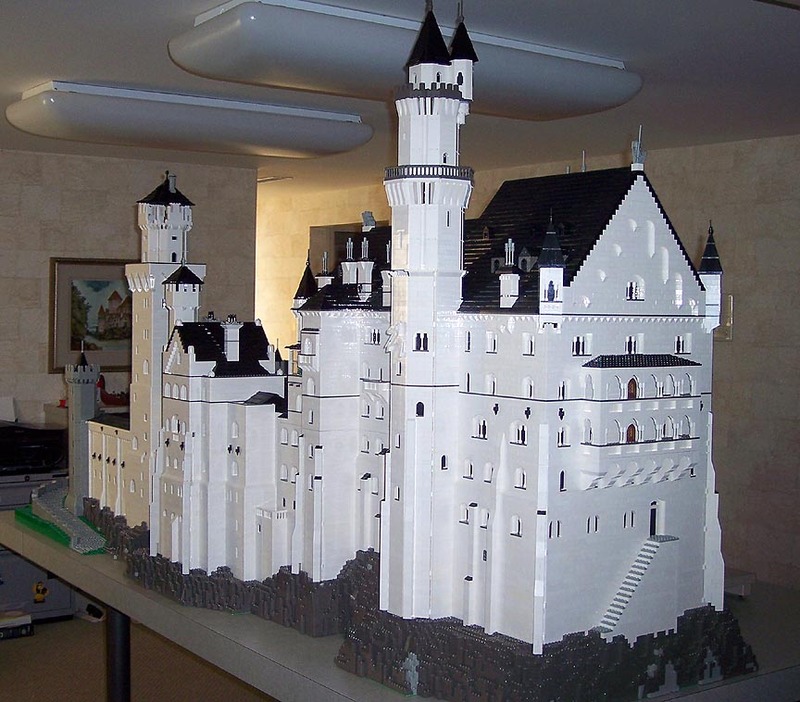 Essentially, Bob Carney builds castles out of Lego and posts photos of his creations and – best of all for RPGers – floor plans! The plans are often drawn by Bob specifically for Lego construction, meaning they are a bit squared off and therefore easier to transcribe to graph paper*. Bob has an impressive collection of castles from throughout Europe, including most of the standard castle plans (tower keep, concentric, etc). The image to the right is Neuschwanstein. If you need a castle floor plan, take a look. Bob Carney – The Land of Nod salutes you! * Man, I love graph paper. Very nice, thanks for passing this along. Yes thanks, I'm gonna share that site with my whole family and maybe facebook. Yes indeed! Thanks very much for posting this one.